Very uncomfortable walking into a muggy-warm condo that wasn’t addressed for 2 days. Floors made our feet black , and a blood spot on one of the duvets was absolutely disgusting. They cleaned that set , but were any others really washed ? For the amount of money spent , the view was awesome , the condo , not so much . Would not stay at this specific condo again unless they upgraded their air and got new cleaning people . We just returned from a week at this property and hated to leave. The view was amazing from sunrise to sunset. The property was very well maintained and everything it was promised to be and more. We loved the extra security of having to have key codes to get in the elevator, pool, and beach access. We loved watching the boats go in and out of the channel right next door and the convenience of having John's Pass and all of its food options right across the street. We had plenty of room for the four of us and could have been comfortable with more people. The staff was very friendly and made the check-in and check-out procedures a breeze. We never heard noise from any of our neighbors. We can't imagine staying anywhere else next time! Love the condo. Frying pans not to clean. Quick to fix air conditioning. Not to happy that the dumpster was next to our condo that was used to dumb the Dead Sea animals. Loved being within walking distance to John’s Pass! Kids loved the Shelling cruise and the Pirate ship. We brought 6 of our 8 children with us and had lots of room in the condo! 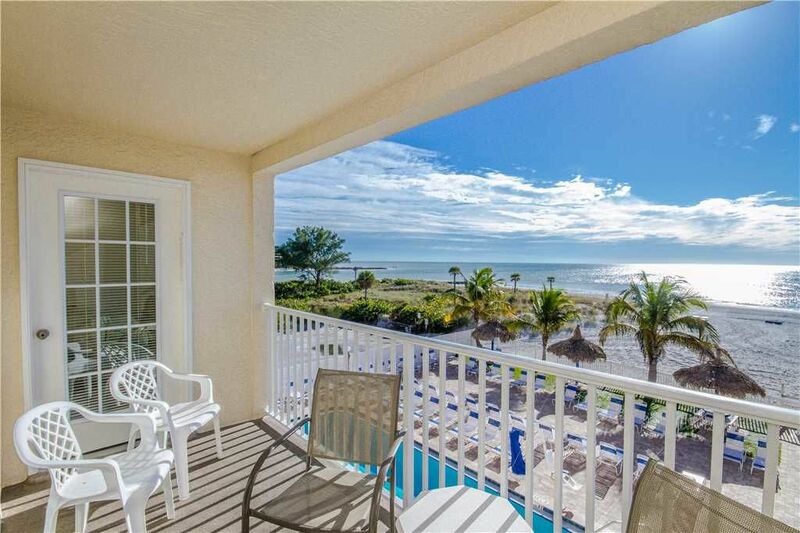 Beach place is one of our favorite places to stay on Madeira Beach! This is our 6th trip here and our second stay at Beach Place! Very fun Family trip! Hopefully our next trip we can get our other two adult children to come with! Nice Condo- Kitchen was well stocked- balcony was perfect. Nice to have assigned parking. The beach was beautiful- the office staff is very helpful, had a lot of tips about the beach. Was a great place to stay! Overall the condo was great. Only a couple issues .. the “queen” bed in the 3rd bedroom was really a “full” size bed. Very hard for 2 grown adults to sleep comfortably. Also- was a bit “stuffy” in condo. Could definitely benefit from some ceiling fans! We ended up buying 2 fans and leaving them there (couldn’t take home on plane). But condo was clean, roomy, and convenient! I would stay here again!